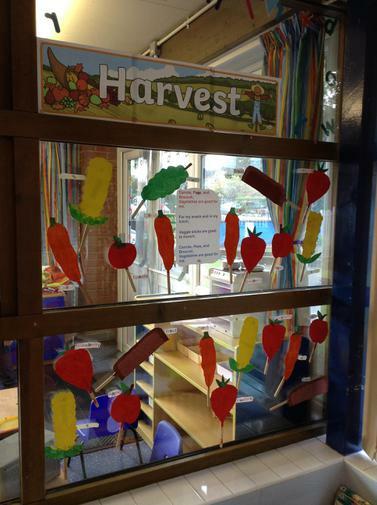 This year we celebrated Harvest and the theme for this year was a celebration of fruit from trees at our own school and abroad. 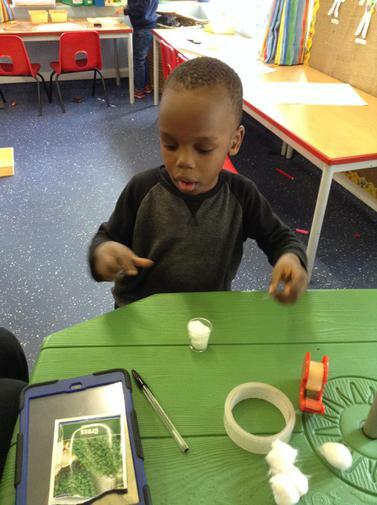 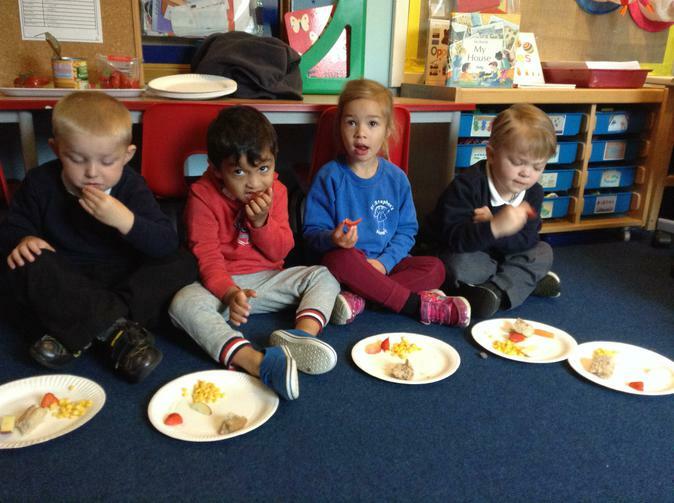 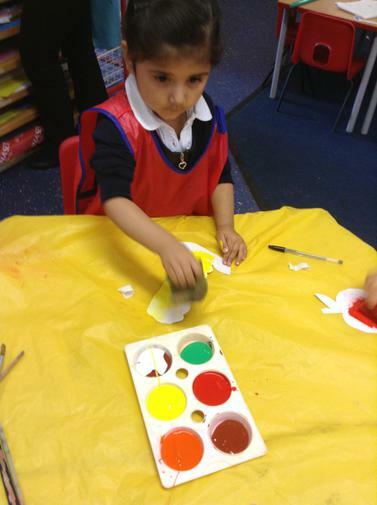 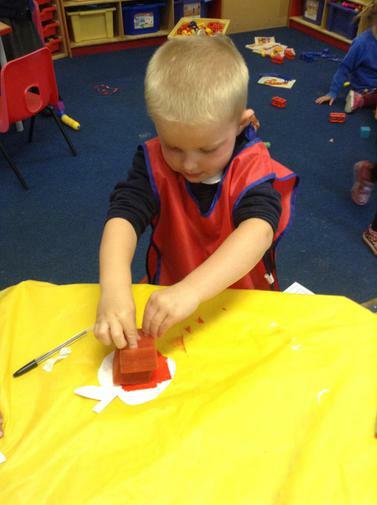 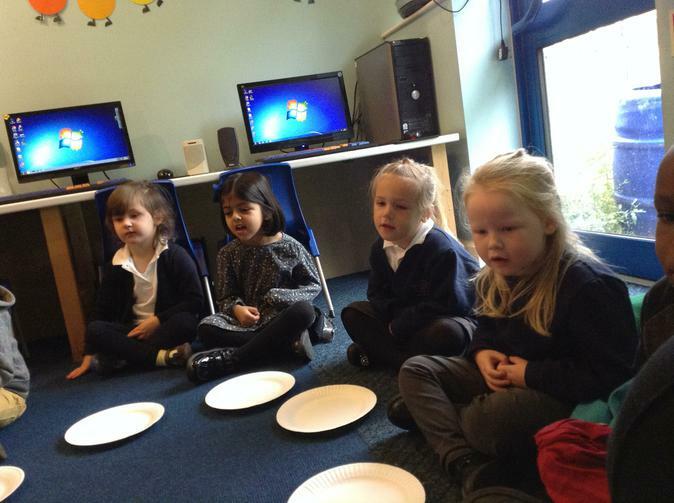 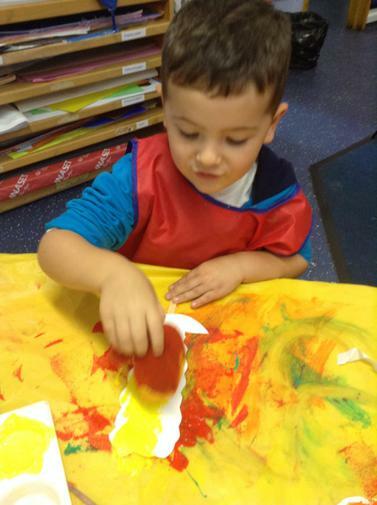 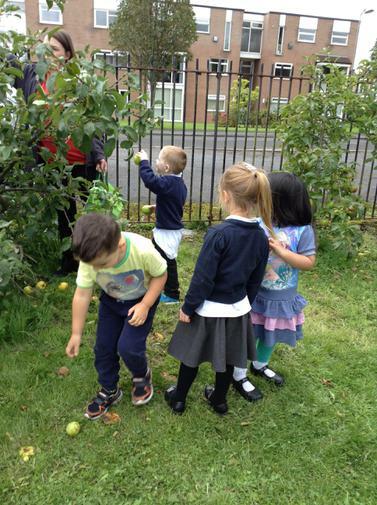 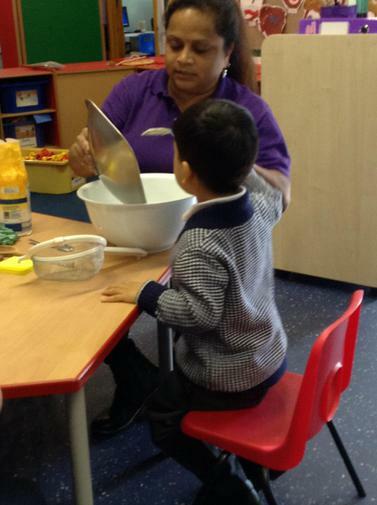 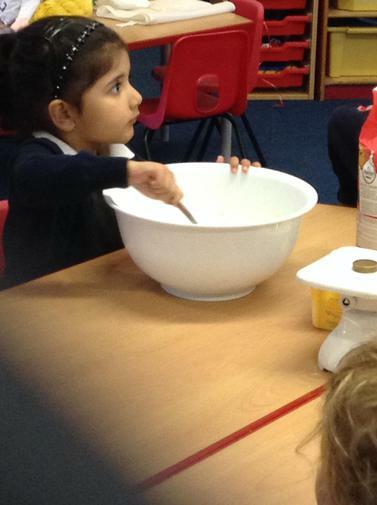 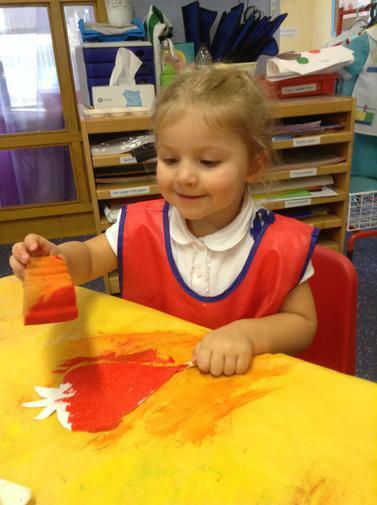 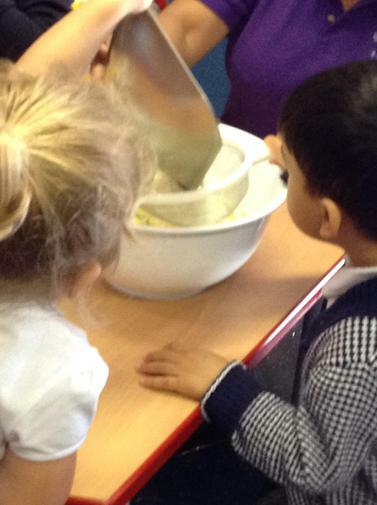 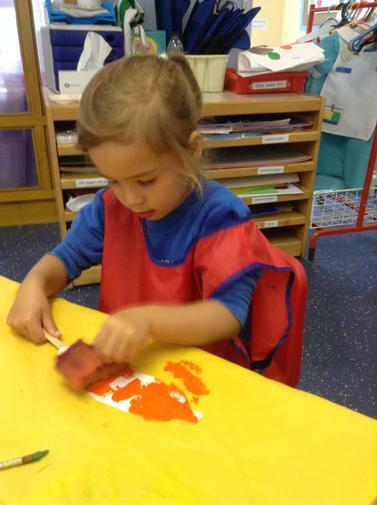 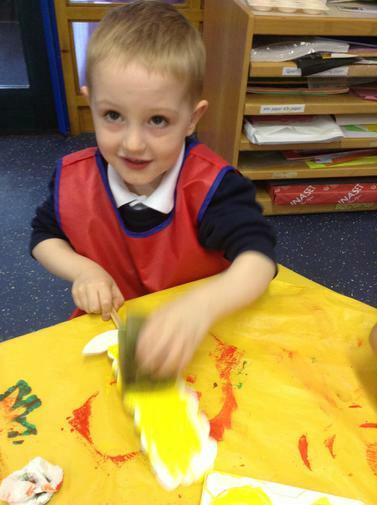 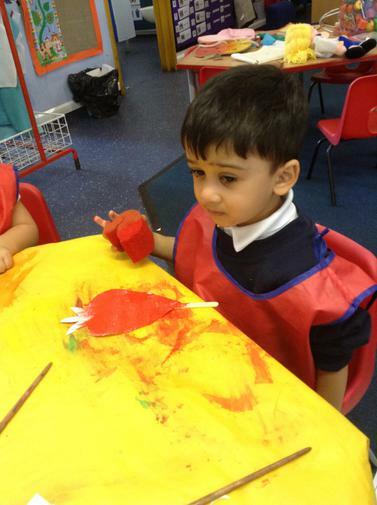 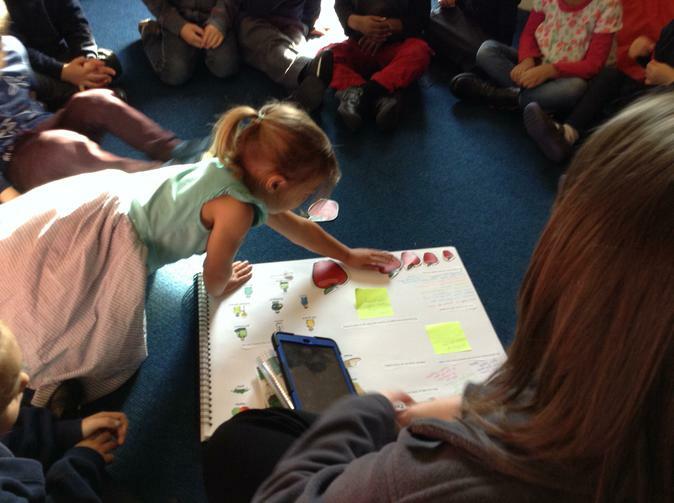 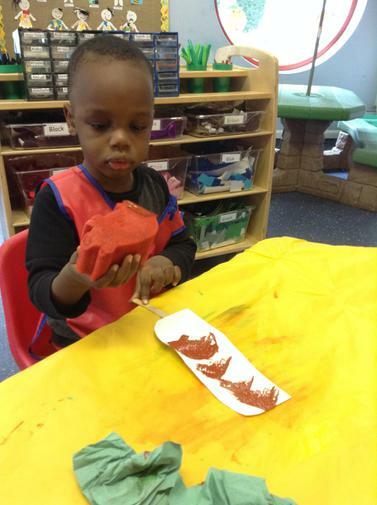 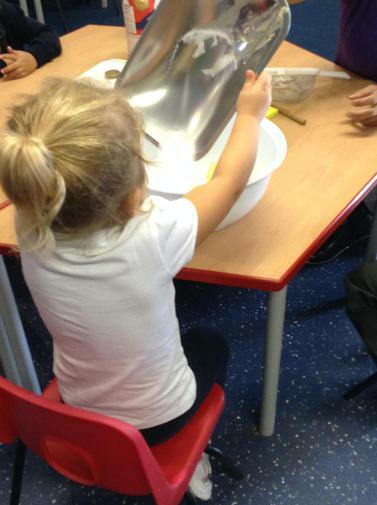 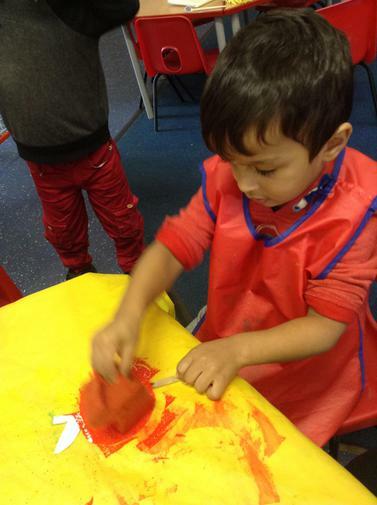 In Nursery we had the chance to pick our own apples from the trees and use them to do some apple printing. 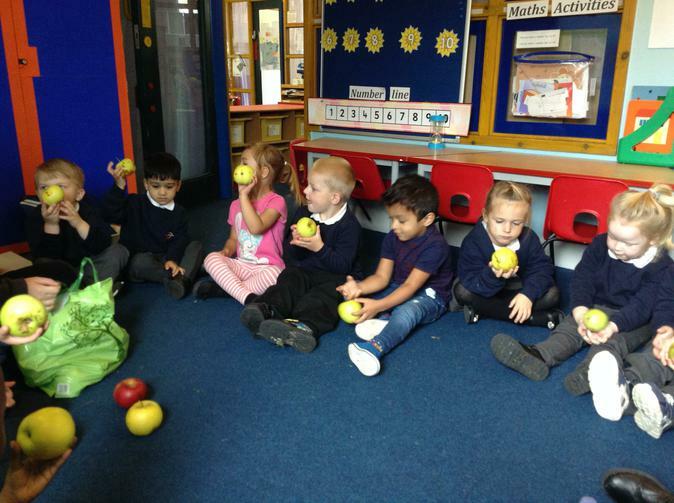 We also cut an apple up and looked at the inside....it was very interesting! 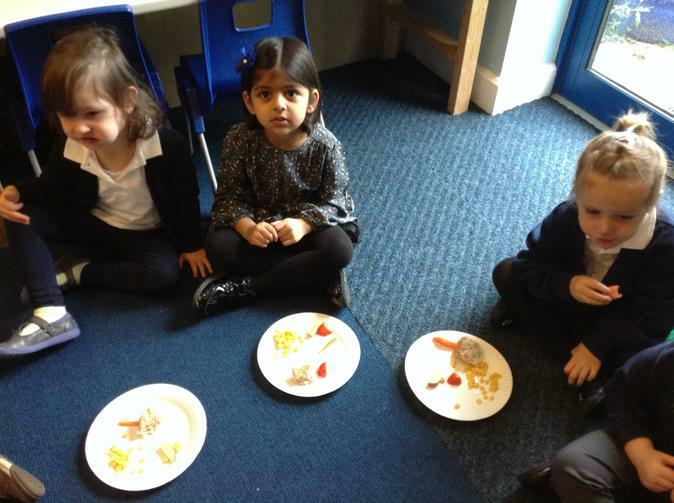 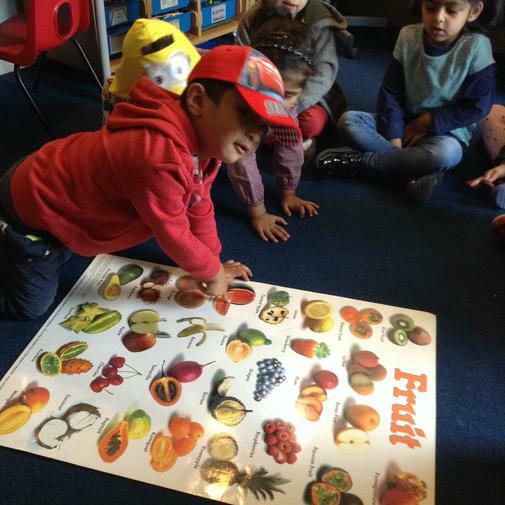 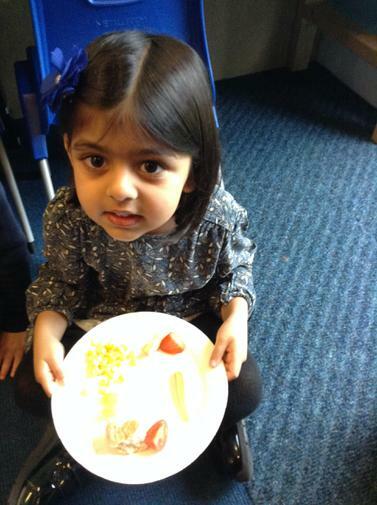 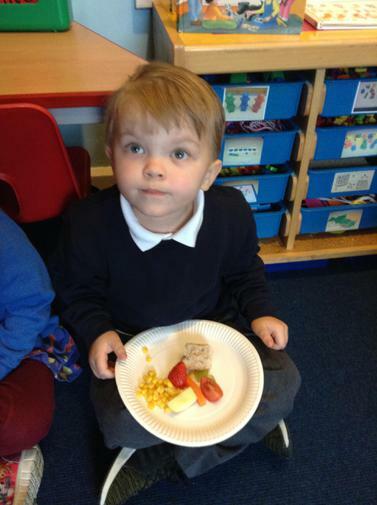 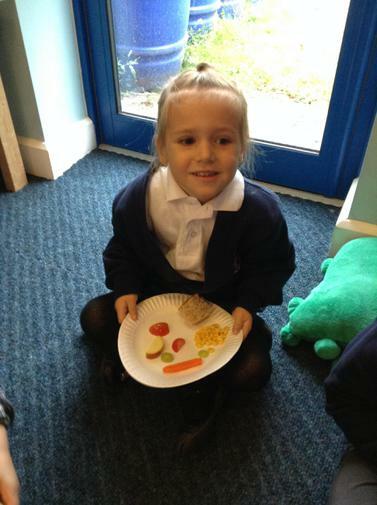 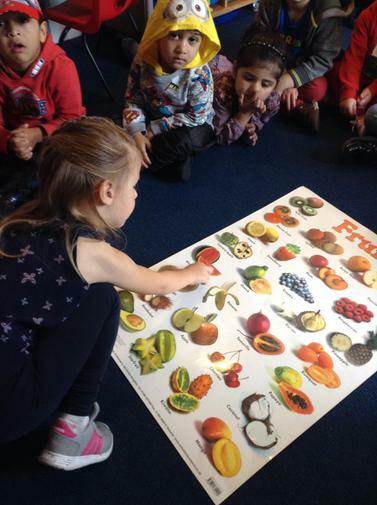 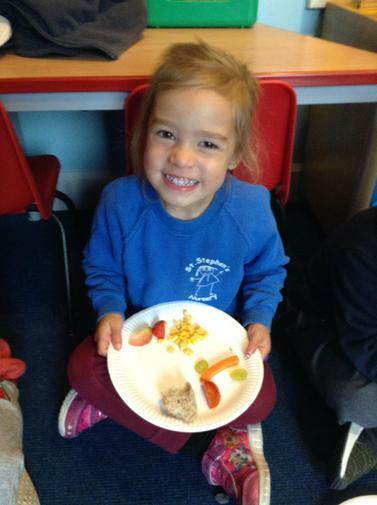 Throughout the week we all tasted some different fruits and vegetables and talked about the ones we liked a disliked. 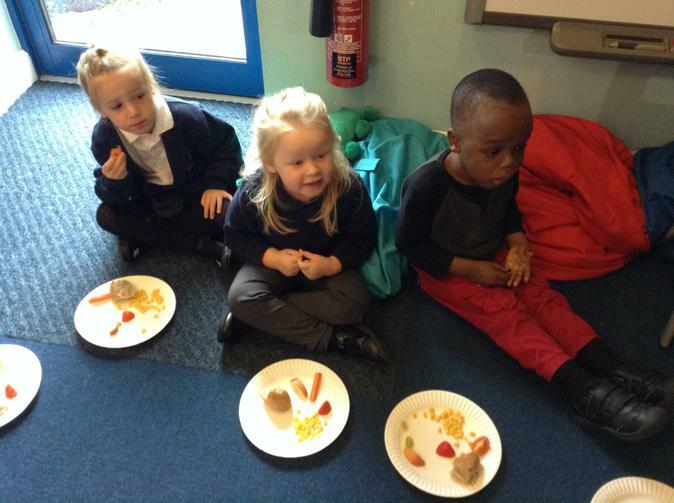 We talked about how our donations of foods would help other people. 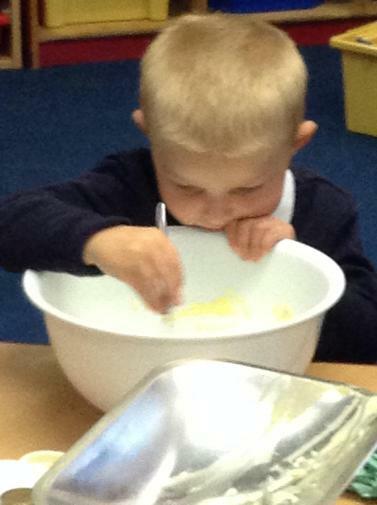 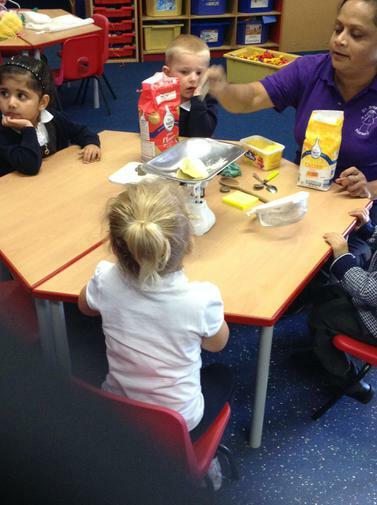 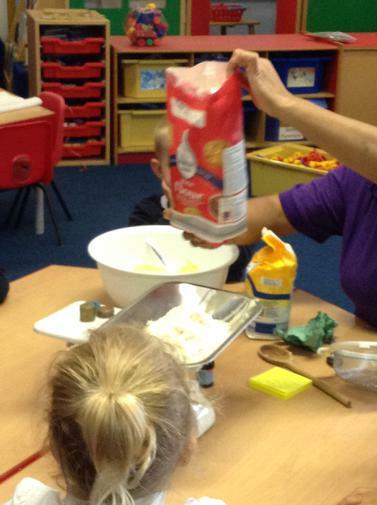 At the end of the week we all baked an apple shaped biscuit, they were so yummy!